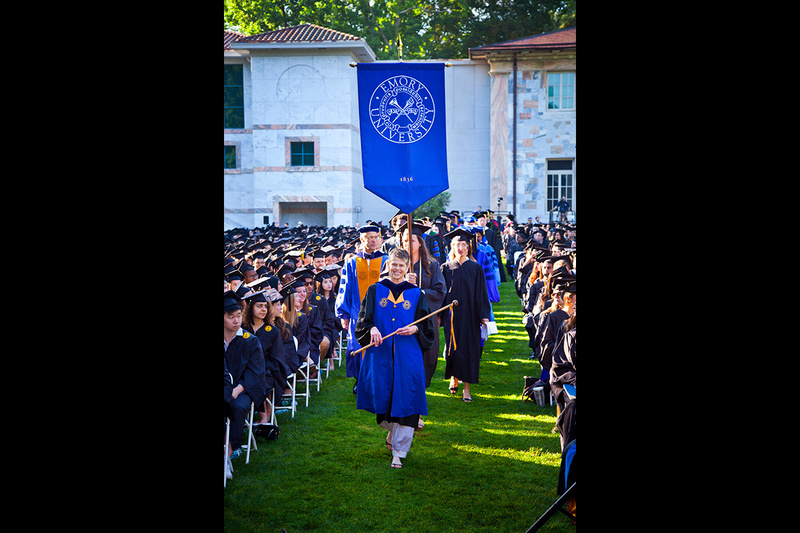 Let the Festivities Begin: University Chief Marshal Bobbi Patterson leads the procession at Emory's 169th Commencement on May 12. 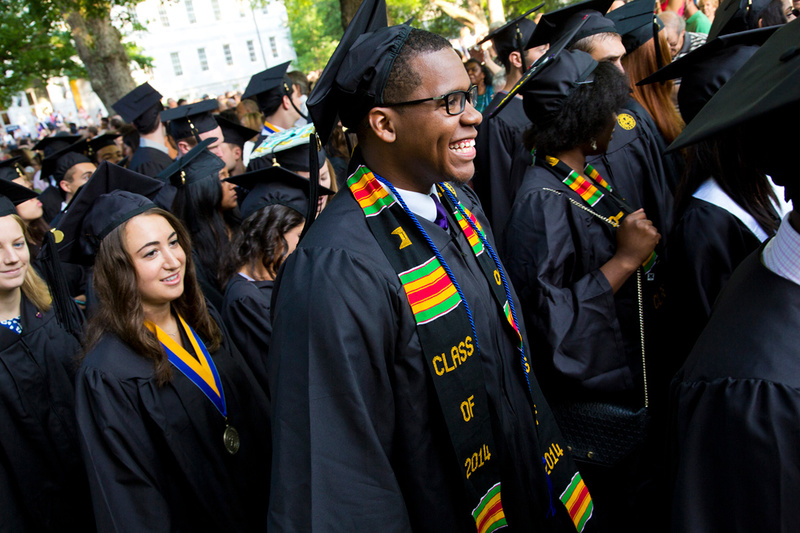 Nearly 4,400 graduates, about half earning degrees from Emory College and half from Emory's graduate and professional schools, participated in the day's ceremonies. 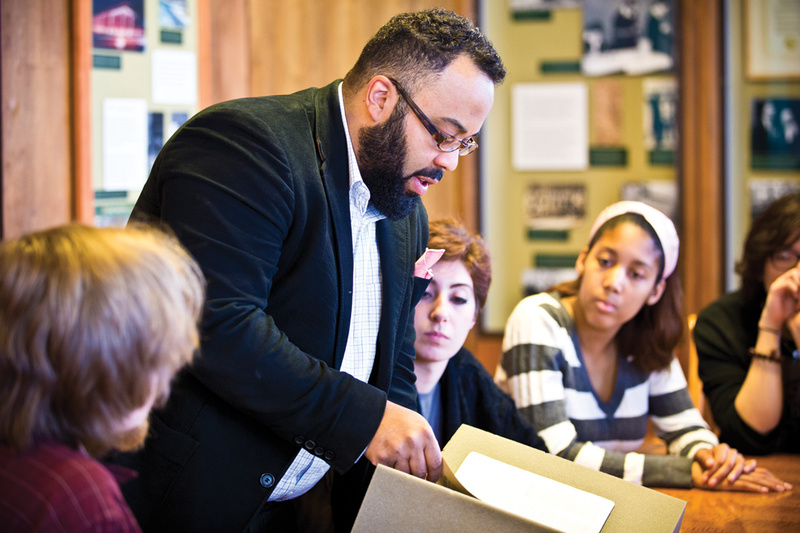 A geographically diverse group representing nearly all fifty states and many nations around the world—about 16 percent were international students—the Class of 2014 included decorated service veterans, award-winning student athletes, transfer students, and graduates over the age of fifty. 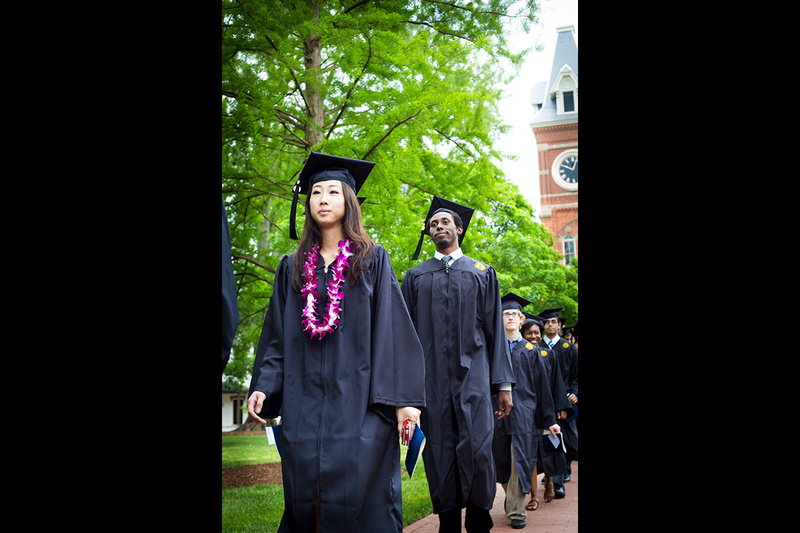 Onward and upward: Oxford College graduates process onto the Oxford Quad for Commencement ceremonies on May 10. 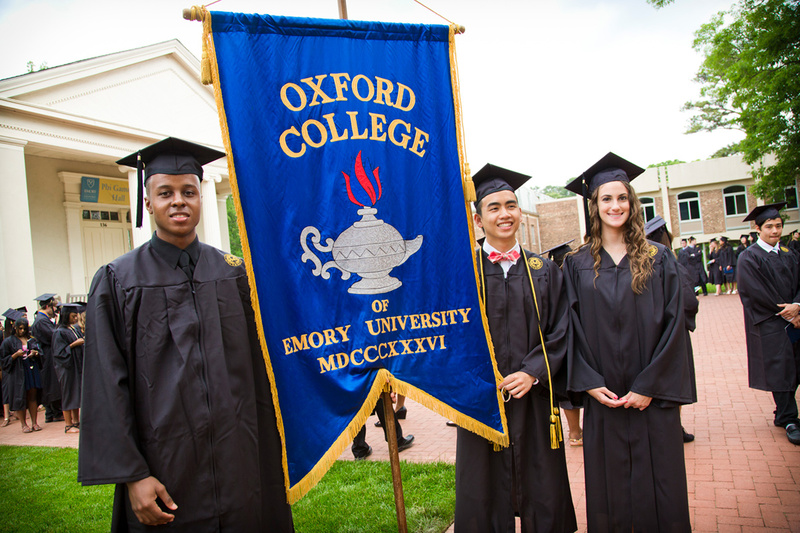 Oxford Commencement class marshals (above from left) Michael Donald Chambers 14OX, Jeffrey Khoa Trong Than 14OX, and Katharine Grey Roland 14OX pause for a pic. 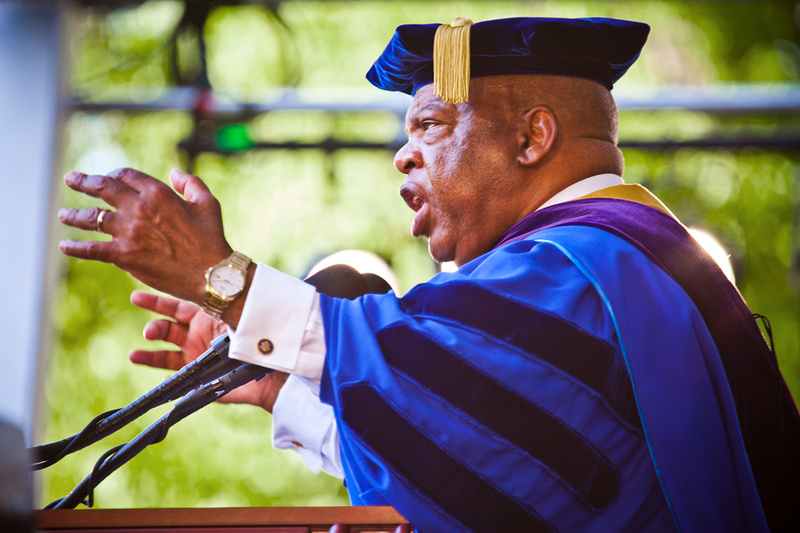 Making 'good' trouble: Civil rights leader and US Representative John Lewis delivered the keynote address at Emory's Commencement during a year that marks the fiftieth anniversary of the Civil Rights Act of 1964. "You must find a way to get in the way. 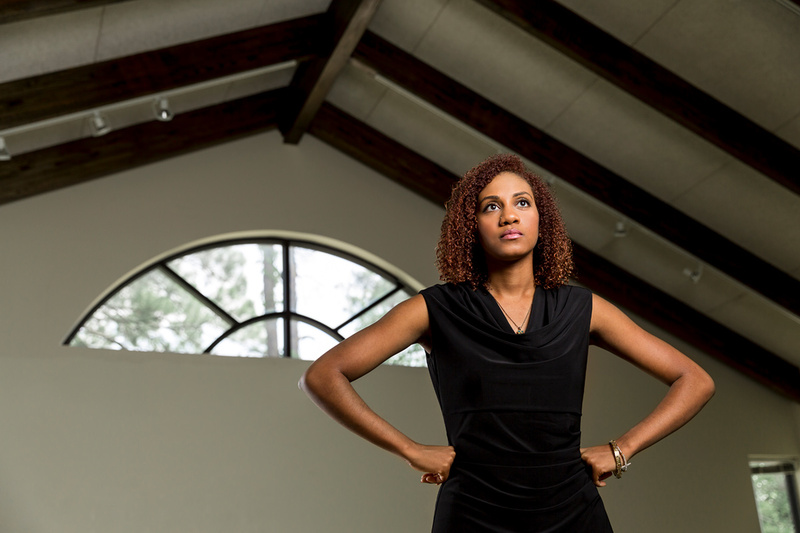 You must find a way to get in trouble—good trouble, necessary trouble," Lewis urged graduates. 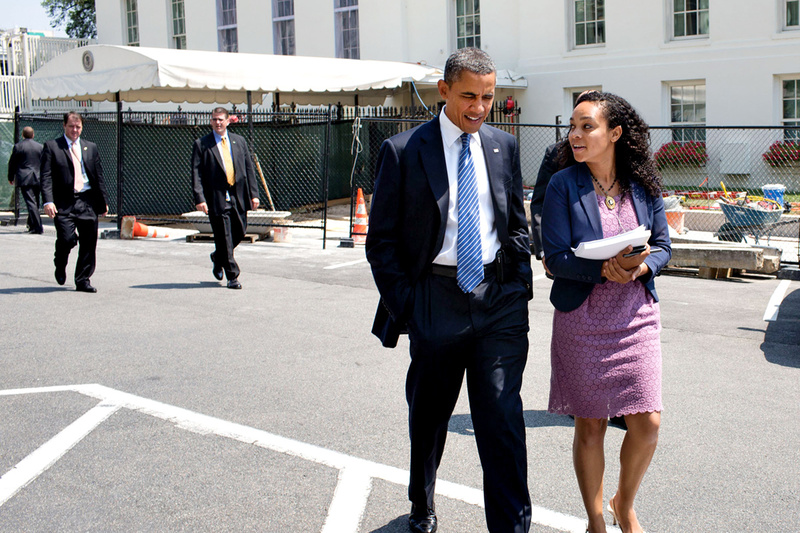 "Use your learning, use your tools to help make our country and make our world a better place where no one will be left out or left behind. You can do it and you must do it. It is your time." 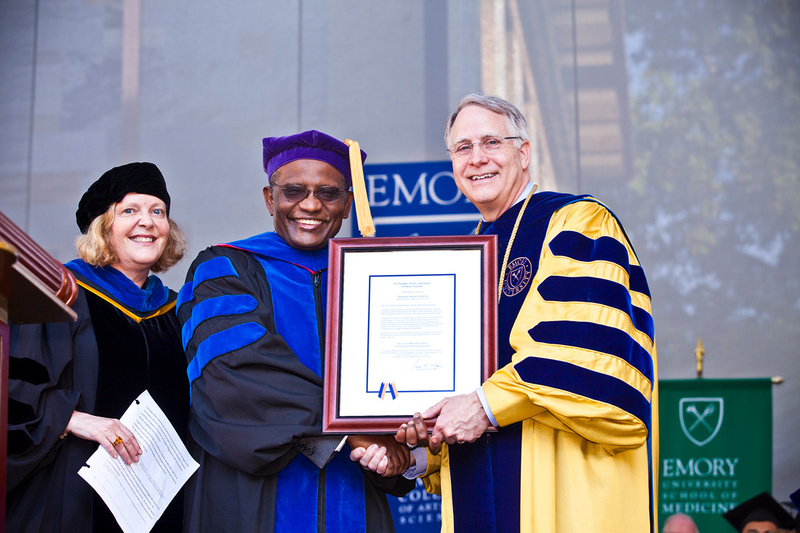 Honored: Charles Howard Candler Professor of Law Abdullahi An-Na'im receives the 2014 Scholar/Teacher Award from President James Wagner. 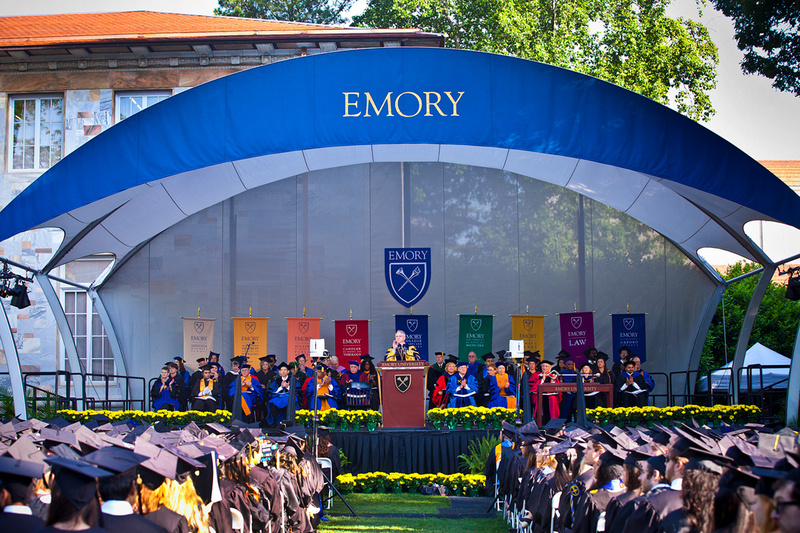 Banner day: President Wagner addresses graduates and more than fifteen thousand visitors against a colorful backdrop of gonfalons representing Emory's schools. 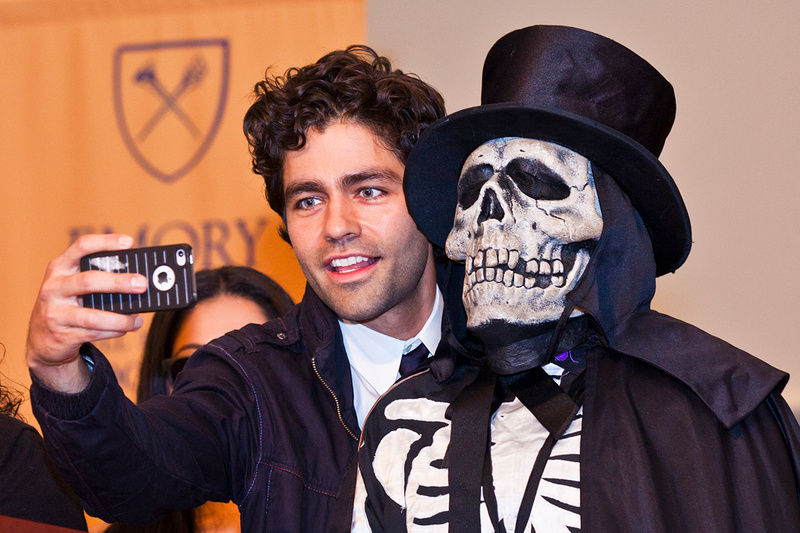 Star and spirit: Entourage star Adrian Grenier snaps a photo with Dooley while on campus as speaker for Class Day 2014. "Please, don't try and be famous. It is not a goal," Grenier advised. 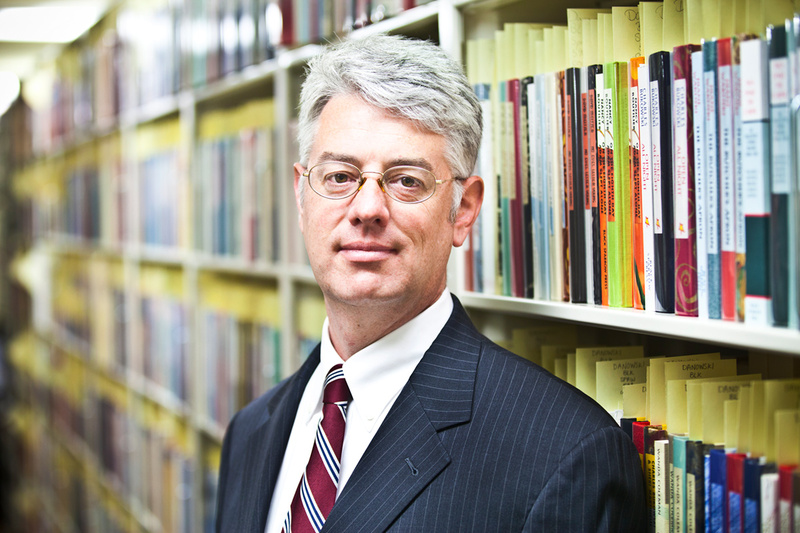 "Find fulfillment in the humble acknowledgements." 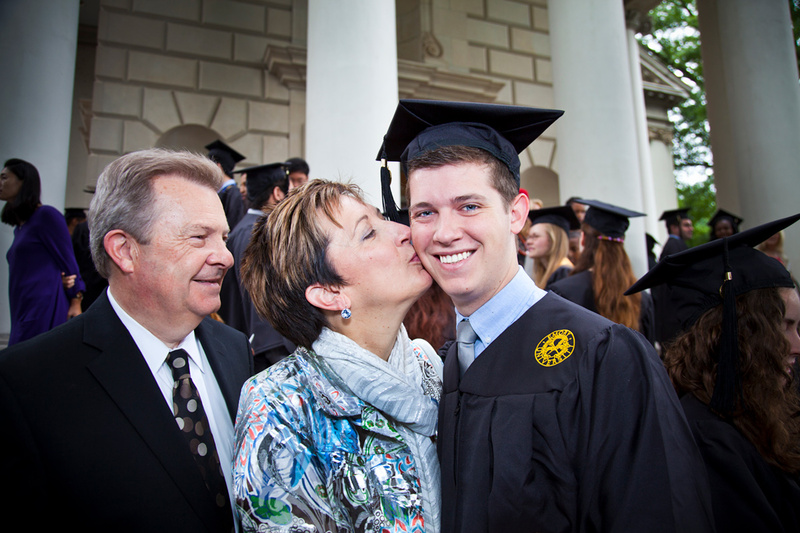 Parent Pride: Graham Pansing Brooks 14C gets a congratulatory kiss from his mother, Patty Pansing Brooks, at the 2014 Baccalaureate service as dad Loel Brooks looks on. 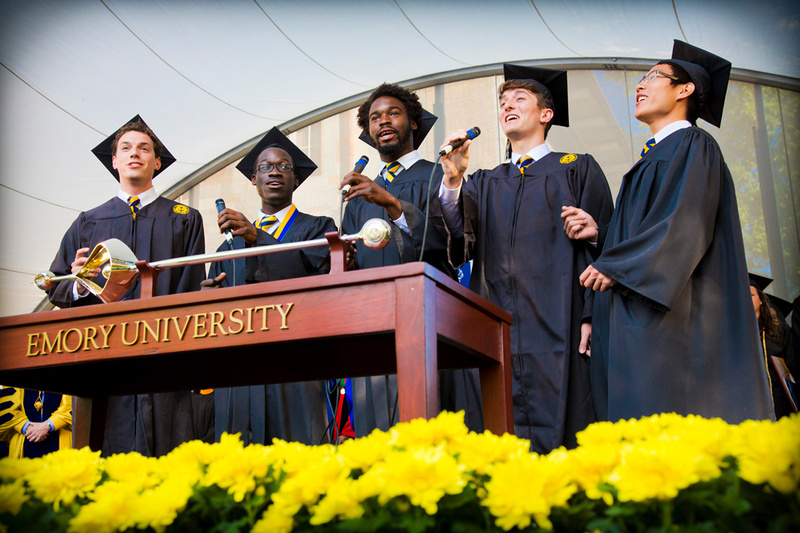 Pitch perfect: David Shortell 14C (above from left), Benito Thompson 14C, Yedoye Opigo Travis 12OX 14C, Collin Shepard 14C, and Fei Gao 15B sing the alma mater. 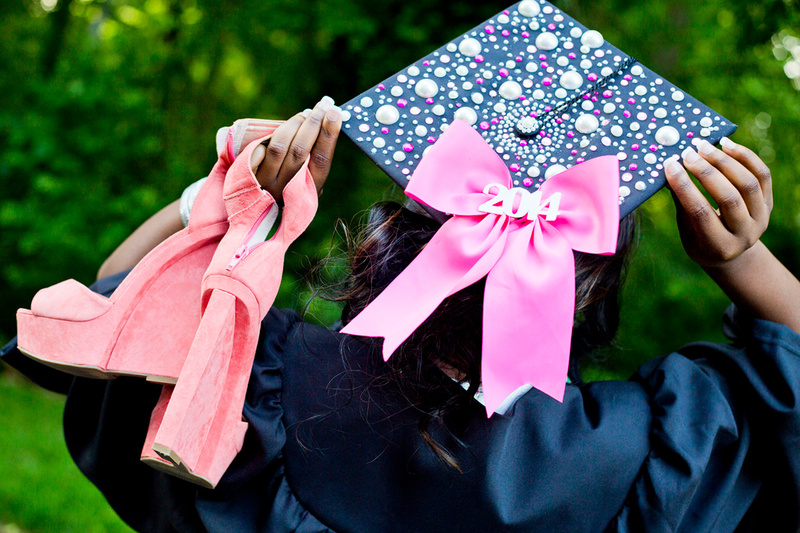 A graduate adjusts her bowed and bejeweled mortarboard. Boundless joy: Graduate Lamon Quincy Cherry 14C beams during the opening procession.